We help growing businesses access marketing & creative expertise. We help businesses access marketing & creative expertise when they need it the most. Marketing services company in Melbourne. Yolk Marketing offer a range of marketing services including marketing consultancy, graphic design, web design, email marketing, SEO website copywriting, document formatting, presentation design & website maintenance support. We are one of few local marketing services providers who have a No Offshoring Policy. All of our services are delivered by qualified and experienced local marketing professionals. Our clients benefit from a nurturing professional relationship, where we share marketing insights and take on more of a mentoring role. Want to sense check ideas or discuss your marketing options? Get valuable tailored marketing advice & gain unique marketing insights from an experienced marketing consultant. 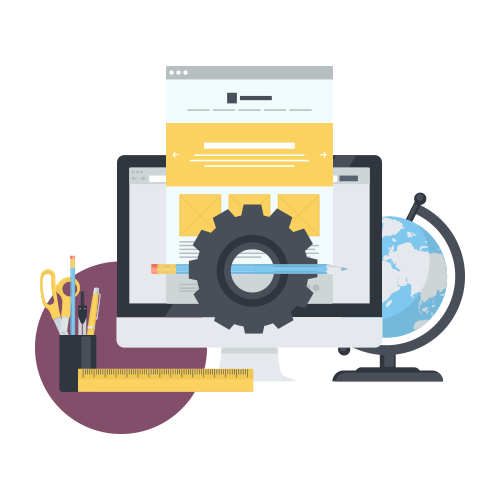 Our web designer can help you create custom html5 animated banners for use on Google AdWords platform, web banners, infographics for social media & more. Get support in sending out email campaigns and managing your subscriber lists in platforms like MailChimp and Campaign Monitor. We can build customised html email templates, create segmented lists & automate campaigns. We provide fast & reliable professional document formatting services to businesses & students for Microsoft Word, PowerPoint & PDF documents. Our graphic designer can help you with your print design needs including flyers, brochures, business stationery, signage & more. Need help updating your WordPress website? We can help you maintain your website updates, security, backups, content changes, style changes & more. Looking to make your website more search engine friendly? Our website copywriter can produce website content that is fully optimised to help you improve your search engine rankings. Make an impact with your next PowerPoint presentation, our PowerPoint Presentation Designer can assist you with design, formatting, imagery, icons, infographics & slide animations.